How very surprising that the Zealots don’t want to turn the clock back and adopt these rules too. Show Trump he can have concubines and he’ll start drafting the legislation now. And priests plus little boys! 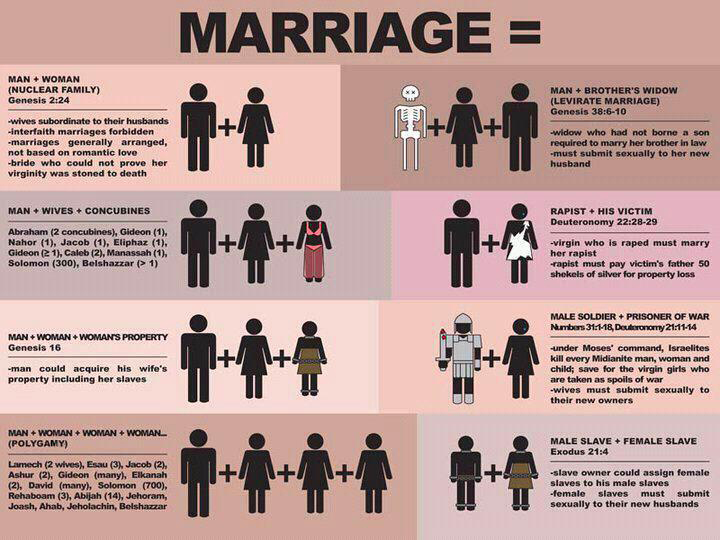 All acceptable to Christian god..
Oh yeah Issac maried Rebecca who was 10.